Beth Bradley teaches you about the various types of woven and nonwoven interfacing that can be fusible or non-fusible, and shows how to make the point of interfacing invisible. 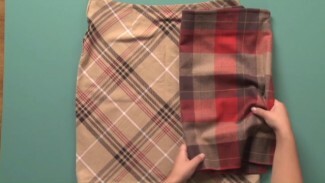 She also demonstrates how to cut the grain of the interfacing to match the fabric. Ellen March teaches you how to make a beautiful flower-shaped bath mat using heavy fabrics. You will need three fabrics – gripper (preferably by the yard), terry cloth for the outer fabric and an interlining microfiber soaker fabric. Ellen also discusses ways to save time and money by using items you have around your house. 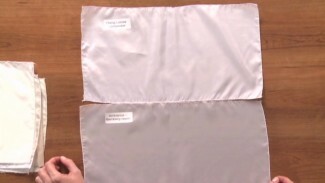 Christina Patzman talks about which types of lining are appropriate for various fabrics. She goes into detail about why the hang loose (polyester) and ambiance (bemberg rayon) are her favorites and discusses when you should use them. You will also learn about non-traditional lining fabrics such as pongee, china silk, and taffeta. Jessica Giardino and Ashley Hough present helpful techniques to prevent any aches or pains that may arise when sewing. 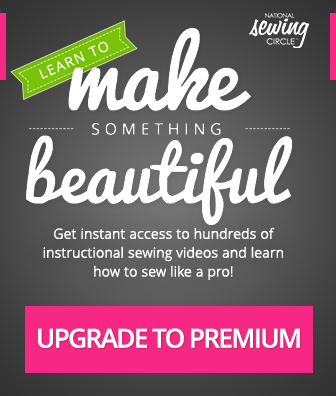 Learn how to establish a safe and comfortable sewing environment. Also, witness different sewing tools designed to reduce any muscle strains caused by hours of sewing. Use these sewing techniques for years to come. Aurora Sisneros demonstrates the many ways to use a differential when sewing fabrics. Learn how to change the levels of the differential as well as how the differential works with a variety of fabrics. Find out how you can best utilize a differential at home.